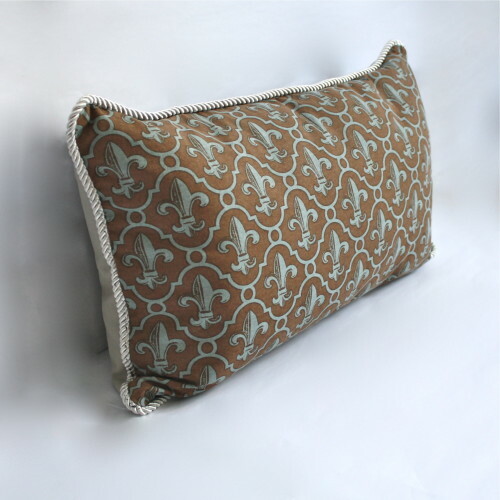 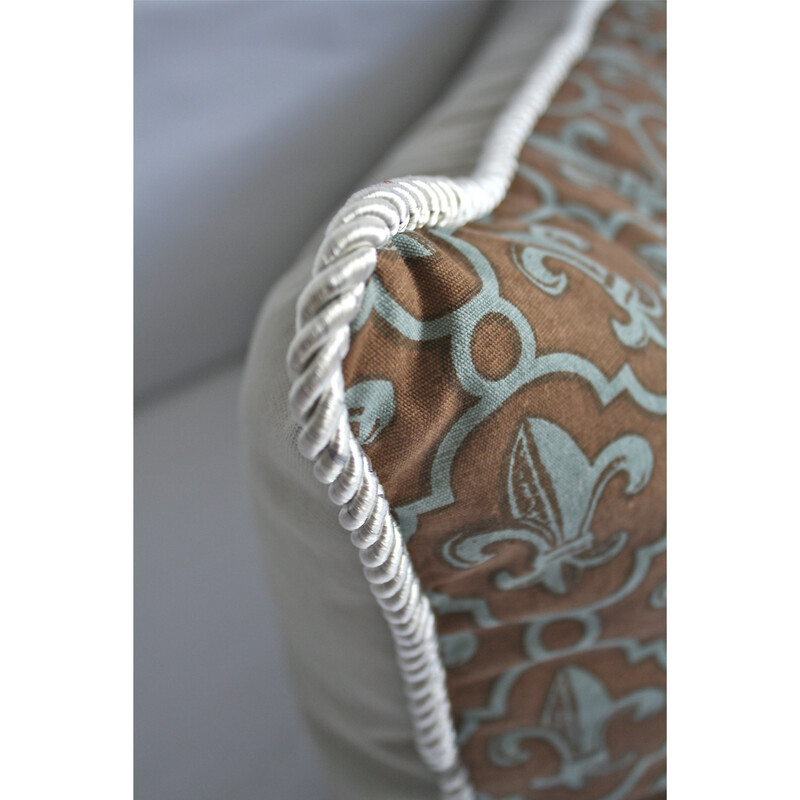 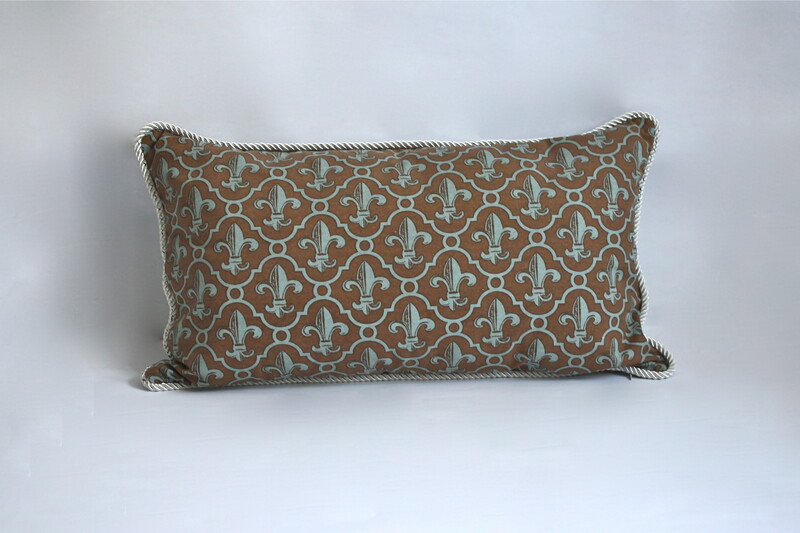 A staple of elegant French style, the fleur de lis has come to represent the French monarchy. 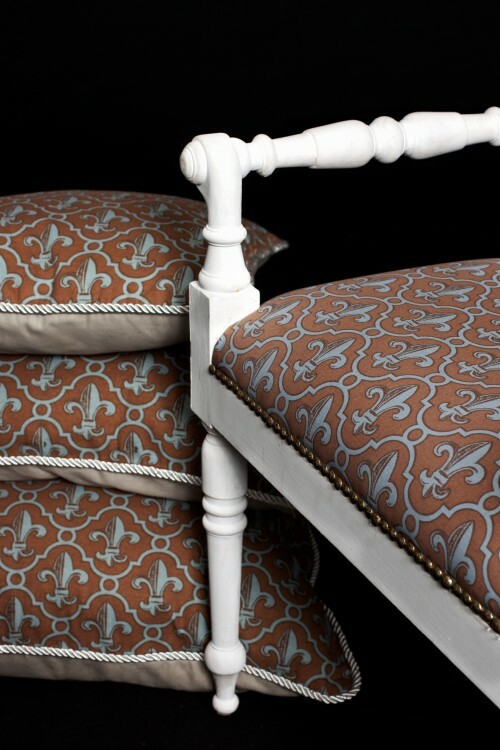 An abstraction of the lily, the fleur de lis symbolizes life, lights and perfection. 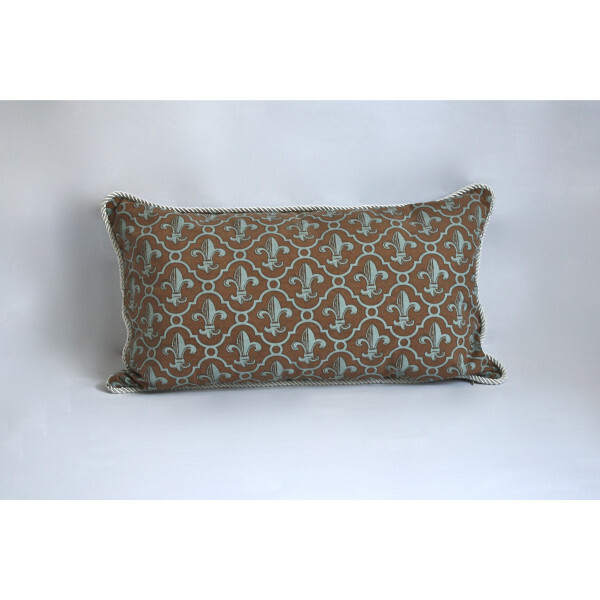 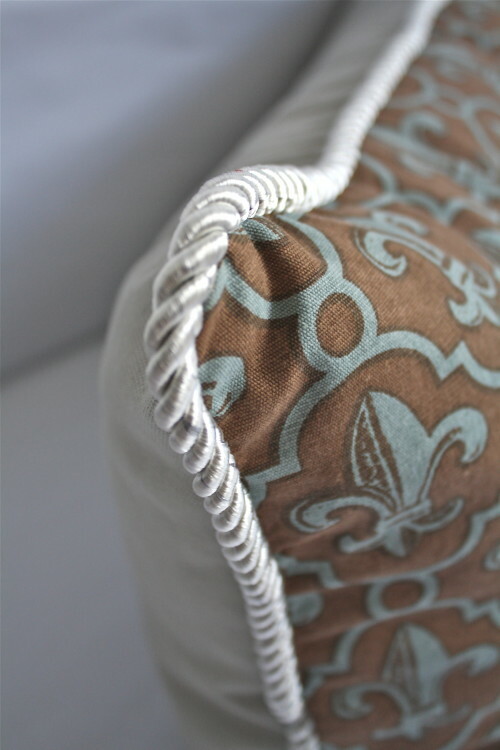 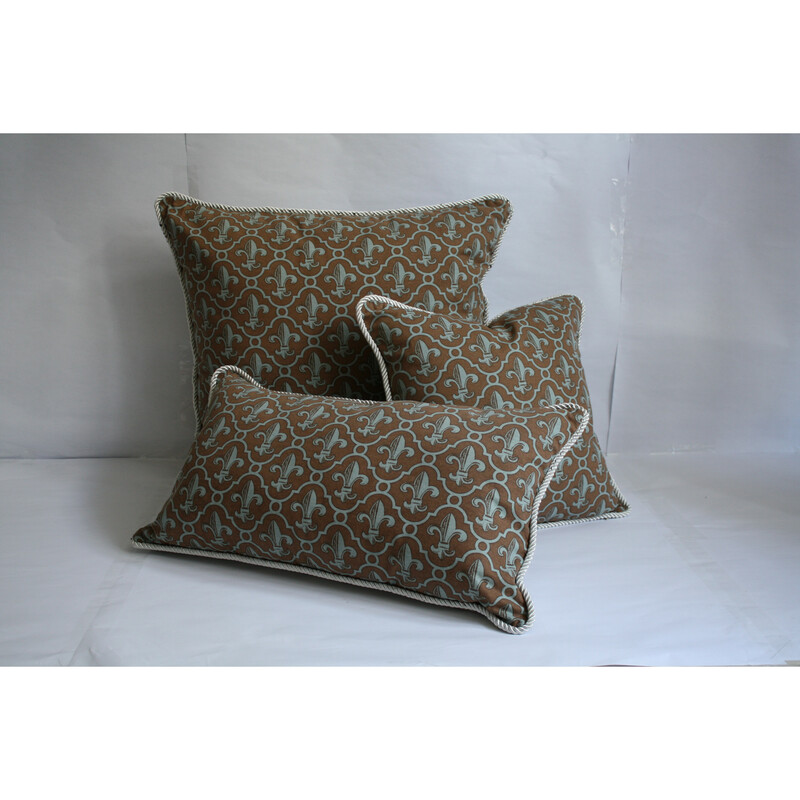 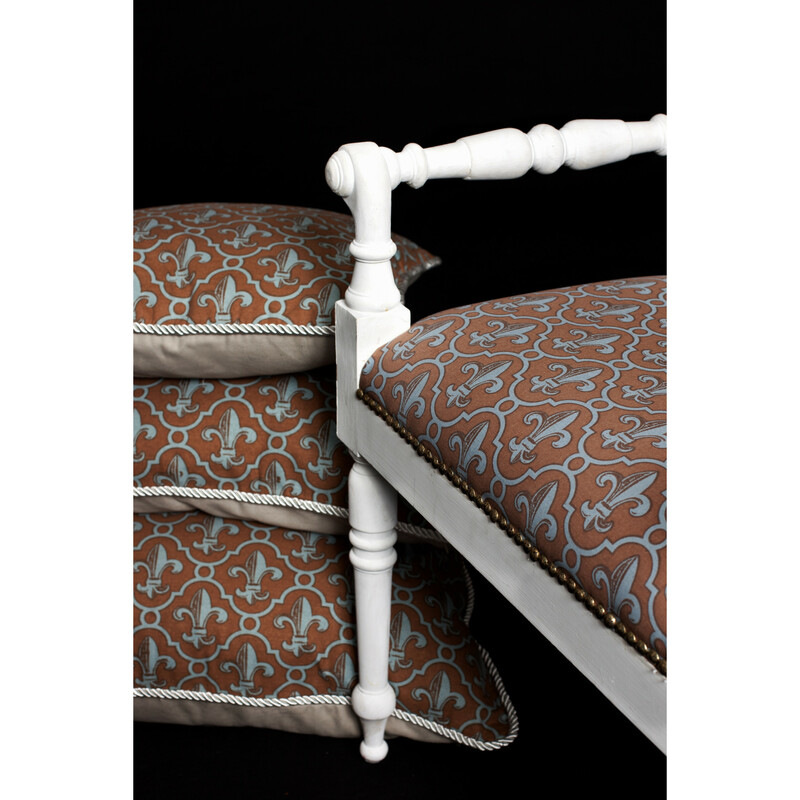 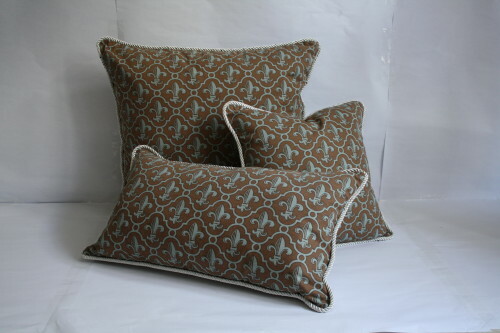 Handprinted on 100% Cotton Canvas with white satin piping.